Have a blast and compete against your friends in a fun game of dodge ball. 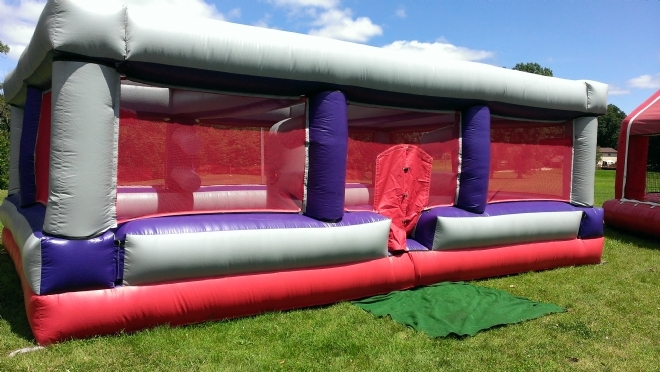 Have a large group, this 20'x 30' inflatable can also double as a large bounce house that fits 10-12 kids. We provide non-sting balls for safe play. A favorite grad party inflatable.